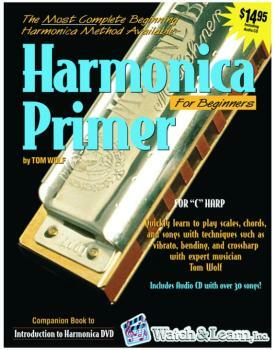 Harmonica Primer by Tom Wolf is the companion book to the DVD or video. It covers all the material in the video, plus it has 17 additional songs not included in the video. It utilizes many photos and illustrations to fully explain all the techniques.